Music is such a fundamental part of our lives. We have playlists for everything that we do. From parties to road trips to workouts, we bring along the tunes that create the perfect energy. With everything that music gets us to and through, it is imperative that we have the appropriate equipment with us. With so many brands out on the market these days, we need the features that enhance our lifestyles. We shouldn't settle for anything less than sleek and comfortable, with all the features that complement our mobile devices. And with 1MORE, you won't have to. It was great to get a chance to catch up with the CEO of 1MORE, Frank Lin, this year at Showstoppers while we were in Las Vegas covering CES 2019. After receiving top honors for their headphones in 2018, the company was as determined as ever to keep the momentum going with the new additions to their line of earbuds. And this dedication paid off in a big way! 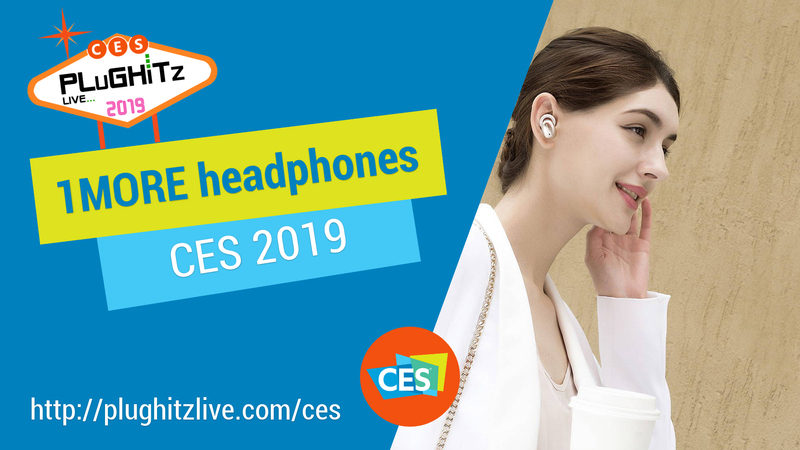 Along with another Innovation award, they were also honored in 2019 as The Most Awarded Headphone Brand at CES for two years in a row. So how did they make this happen? Well, they knew that it was important to follow along with the cell phone developments from the last few years and wanted to create a really good set of wireless headphones. But not just wireless as Bluetooth connectivity alone is not enough. They wanted to join the ranks of the truly wireless. For those who aren't sure of the difference, with truly wireless, each earpiece independently syncs with the music source, as well as to each other. There are no cords or pieces in between. The result is their new 1MORE Stylish True Wireless In-Ear Headphones. Features include a Titanium Composite Dynamic Driver for crystal clear sound in an ultra-compact design for enhanced efficiency, ENC Microphone Technology that allows for communication in loud environments, and an LDS Antenna for less signal interference and transmission with a smooth connection for both music and phone calls. They are also lightweight and include Perfected Ergonomics with 45-degree oblique-angled nozzles to more naturally match the curve of your ear canals for a tight, secure fit with a silicone O-Hook that provides a more stable fit when you are on the move. We also love how they charge with USB-C.
To learn more and check out their entire line of headphones, visit their website.